Runners who become injured or ill at GCU Foundation’s Run to Fight Children’s Cancer will be in good hands. 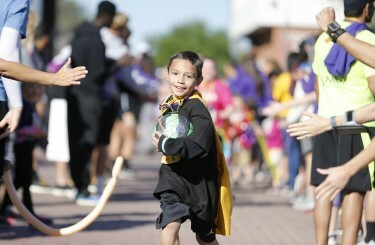 The GCU Foundation Run to Fight Children’s Cancer has raised $450,000 for research in its six years. For the first time, members of Grand Canyon University’s Sports Medicine Club will be volunteering as first aid providers at the race, which is expected to draw more than 2,000 runners and walkers. 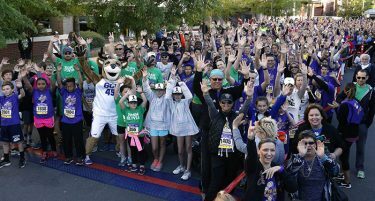 The Sports Medicine Club expects to have 40 volunteers at the seventh annual race to be held March 11 at GCU. In previous years, the race was staffed by a smaller group of students. Dr. David Mesman, club sponsor and College of Nursing and Health Care Professions athletic training faculty member, called the race a perfect match for students. A smiling runner gives a hearty Lopes Up. Not only does Run to Fight offer an ideal learning laboratory — it also fits the club’s mission of giving back to the community. GCU senior and club secretary, Travis Pasillas, appreciates the dual role. “We are giving to a great cause and learning how big races are organized,” said Pasillas, an athletic training student from California. Athletic training volunteers will assist runners with sports-related injuries and illnesses while working with nurses and nursing students as part of an interdisciplinary collaboration. The Cancer Survivor’s Walk is a highlight of the Run to Fight event. Sprains, strains, dehydration and heat-related illnesses are among common race ailments that students may help treat. CiCi Chang, athletic training senior and club vice president, said the race offers students the rare opportunity to work with cancer survivors. 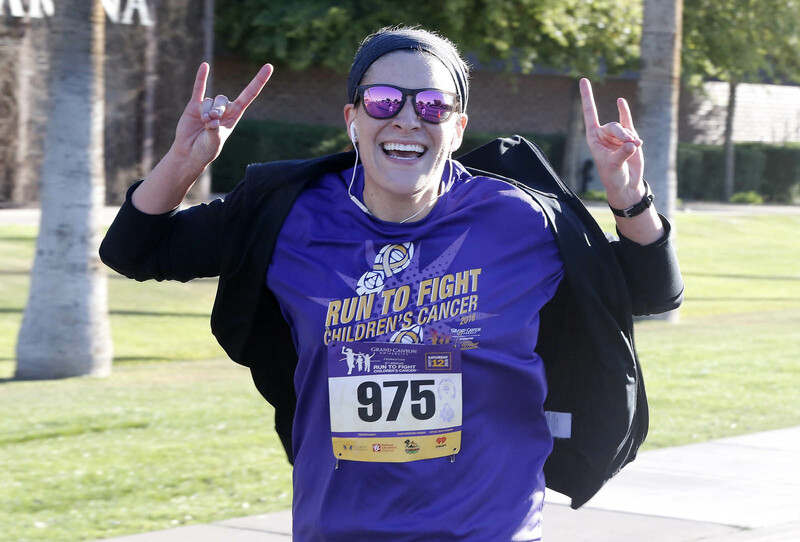 In six years, Run to Fight has raised $450,000 for Phoenix Children’s Hospital and its research into cancer cures and for Children’s Cancer Network, a Chandler-based nonprofit that supports children and their families. Cost: $30 for 5K and $40 for 10K through Feb. 28 and $35-45 through March 11. Cancer Survivors Walk is free.